Shopping has never been so easy and fun! 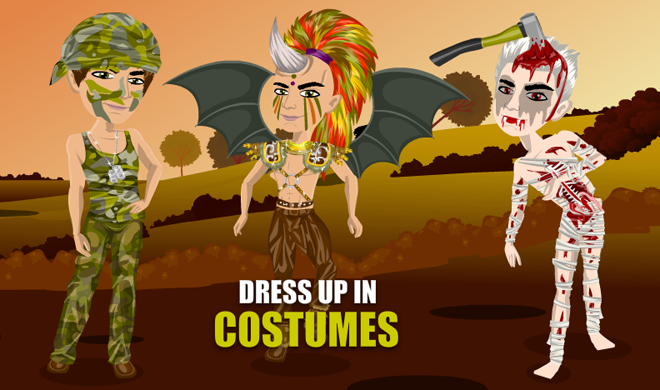 With MovieStarPlanet, buy your dream outfits all in one place! 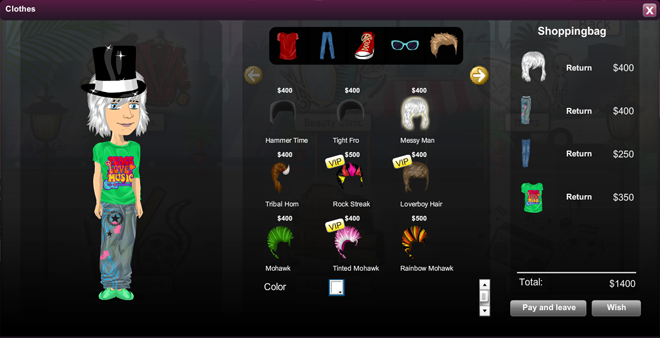 Head over to the shops to buy new things for your avatar! 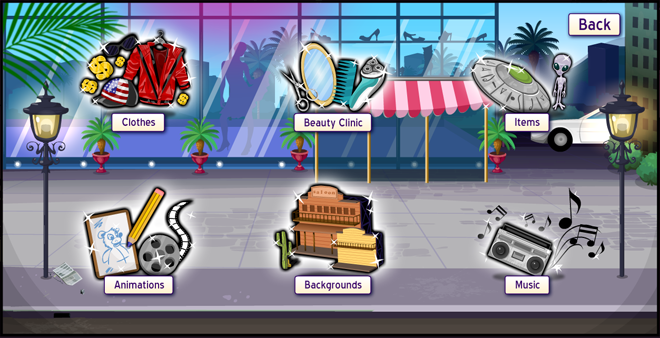 You can buy costumes, customized clothing, shoes as well as various things to put in your room, and to use in your movies such as backgrounds and music. You can head over to the Actor School at any time to learn animations to use in your movies. These animations can also be used when chatting with friends. This fansite and the information provided herein is provided for information purposes only. This site is in no way associated with or endorsed by MovieStarPlanet. Artwork Copyright © MovieStarPlanet and MovieStarPlanet.info. All other trademarks and/or contents of this website are property of their respective owners. Website copyright © Movie Star Planet - The Fansite 2011-2017. All Rights Reserved.